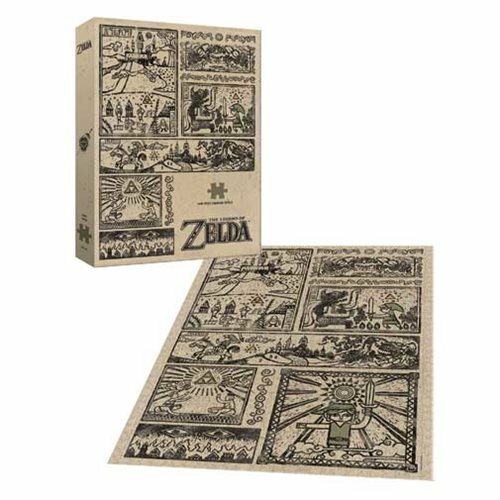 Piece together this beautifully designed The Legend of Zelda Legend of the Hero 1,000-Piece Puzzle depicting Link as the hero of Hyrule. The puzzle is a must have for fans of the hit video game series The Legend of Zelda. This 1,000-piece puzzle measures about 27-inches tall x 19-inches wide when completed. Ages 14 and up.